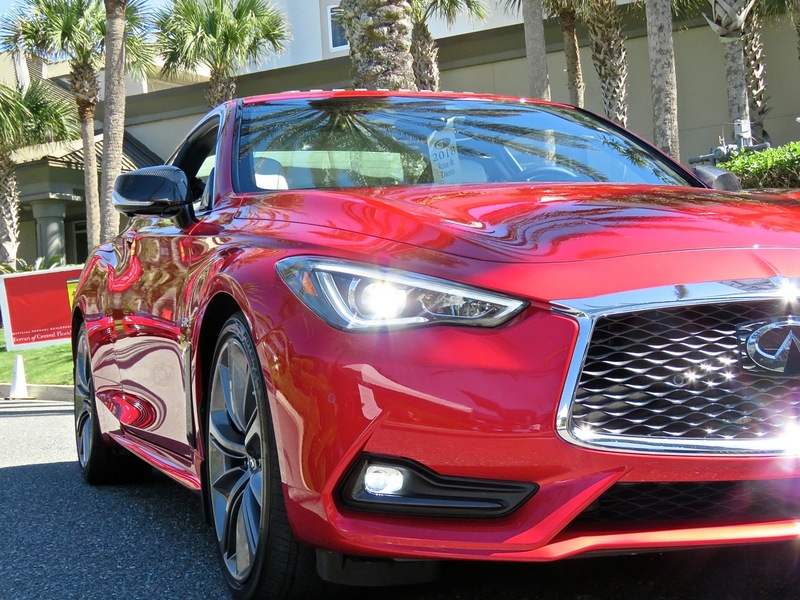 Infiniti Q50 Red Sport 400 Review: Turbocharged For Your Pleasure! I’ve been waiting for the Japanese luxury brands to go turbo for a long time now. They’ve been keeping their cars pretty simple for years, and that’s great for reliability, but in the end, the turbo European cars were faster, a lot faster. Well now it seems the tables have turned. 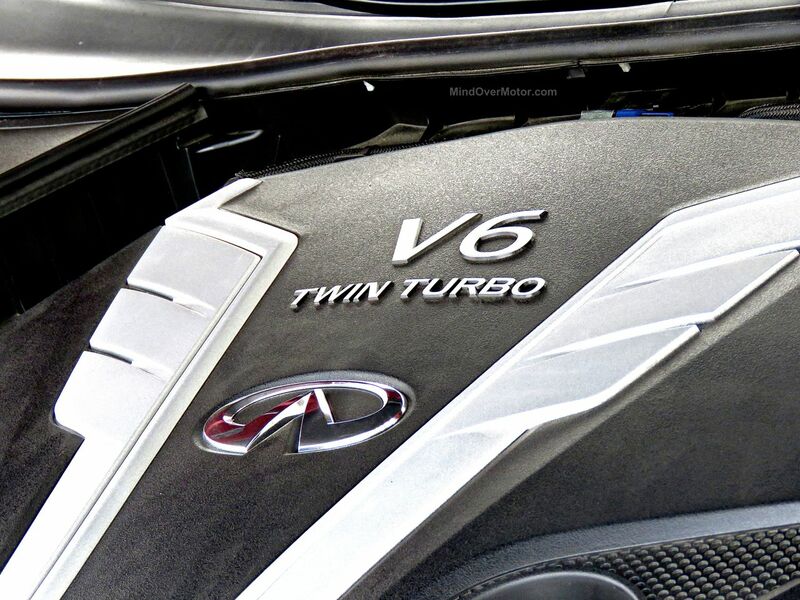 Infiniti has finally joined the turbo game, and they’ve brought a ringer. Their new 3.0L twin turbo V6 comes in two flavors, one with 300hp and one with 400hp. The first will compete directly with the existing sport sedan pack, and the second will blow them away. Even with the German’s conservative horsepower claims, none of their offerings reach the 400hp mark. 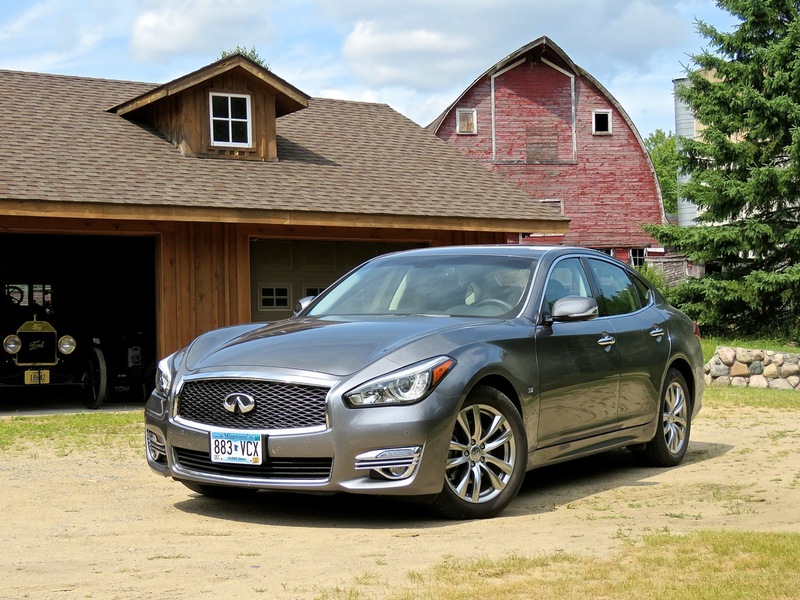 That means the high-output Infiniti Q50 Red Sport 400 I drove here is some very serious business. There were plenty of awesome Japanese performance cars at First Class Fitment 2015, including two Nissan Skylines and a few FD Mazda RX7s, among others. 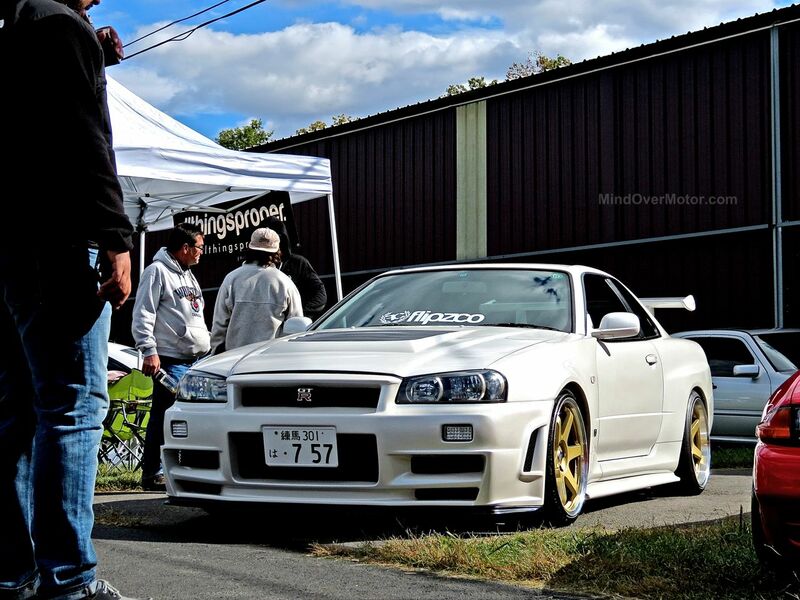 It was a nice slice of JDM heaven with a little extra stance sprinkled on top. Enjoy our highlights from the Land of the Rising Sun! First Class Fitment is a stance/modified car show held at the Airport in Princeton, NJ every fall. People come from all over the region, bringing nicely done rides of all sorts. The event is mostly stanced cars, as you might expect, but there are a few other gems sprinkled in for good measure. This year was quite good. Lots of really well built cars with interesting details. That’s one thing I love about modified car shows, each car has so much personality. They’d all stand out parked on the street alone, but the ones that catch my eye at the show are always extra cool. I took quite a lot of photos at the event, so there is much more to come. Enjoy the first gallery! In today’s market, $40,000 marks a sort of barrier between “normal” cars and “luxury” cars. You can basically find any sort of car for under $40 grand, so it can be argued that nobody needs to spend more than that unless they’re interested in fluff. It is a realistic budget for many middle class Americans, and that is why we have chosen to kick off our new “Our Picks” segment with it. We will give our picks for two $40,000 budget scenarios, one as an only car, and the other as a second car. We will also give our second choices for each. Keep in mind, this is how we would spend our own money, with our rather discerning tastes in cars, and not necessarily our recommendations for more average buyers. When it comes to making a car more than the sum of its parts, luxury brands like Infiniti and Audi do a very strong job. The Q60, formerly known as the G37 Convertible, is one such example. Despite having been on the market since I got my driver’s license (which feels and is a long time ago at this point), they’re still selling it and people are still enjoying new ones as if they have had them for eons. The IPL model is supposed to be a hot version aimed at the older M3, which was the benchmark at the time. Nick and I both drove it, and I wrung it out around the streets of the Seventeen-Mile-Drive to find out what this svelte convertible was capable of. I got quite a few answers, some of which were expected, some of which were desired, and a few of which were not at all what I saw coming. Infiniti has been good at keeping itself in the news lately. Last year, when they announced they would reshuffle their naming convention in their model lineup to use the word “Q” across the board, I decried the news as a poor decision which would confuse buyers and damage sales. I’m still not sure if I said the right thing, or the wrong thing. 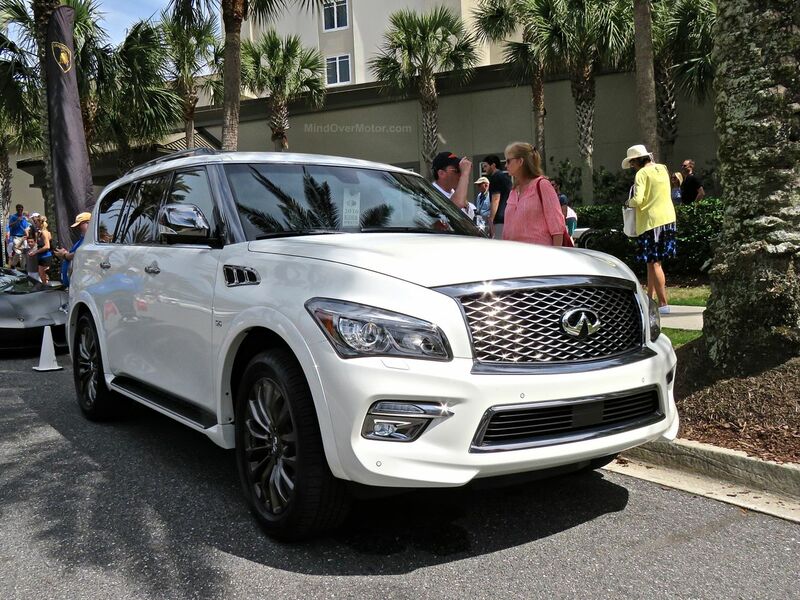 However, at the New York Auto Show last year, I did catch a glimpse of the new Q50, Infiniti’s replacement for the respectable G37 sedan, and took some time with it to see what it was like to sit in. 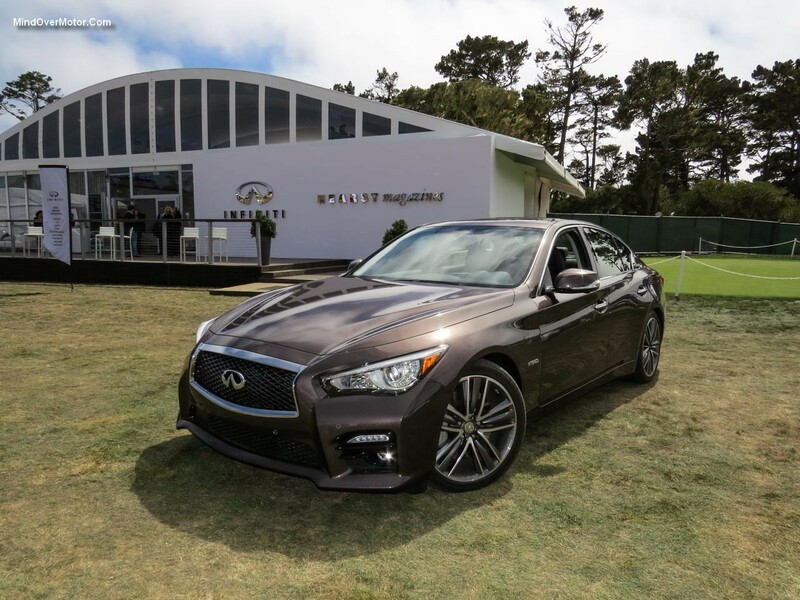 By the time Pebble Beach rolled around, Infiniti was offering this brown 2014 Q50S Hybrid for drives. I eagerly took the keys to see what Infiniti had done with a new platform to fight the BMW 3-Series. Infiniti just seems to want to watch the world burn. For some reason they deemed it a good idea to rename their whole entire lineup, for no reason whatsoever. Every Infiniti is now named Q, with some meaningless number. 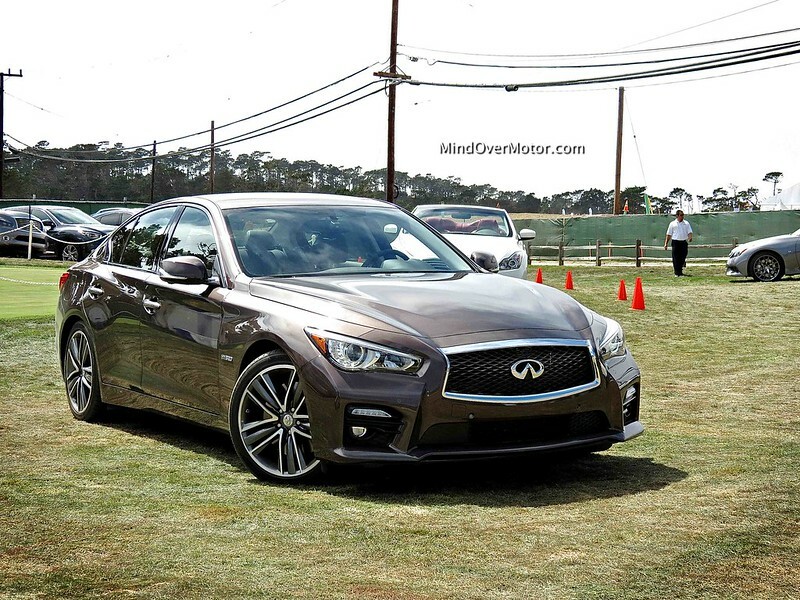 The car you see here is the new Q50, the replacement for the current G37 sedan. As the replacement for the G, which is surely Infiniti’s best selling model of all time, the Q50 has big shoes to fill. This one isn’t an ordinary Q50, though, this is the much-anticipated Q50 Hybrid. So in addition to filling the G37’s shoes, the Hybrid must also make a case for itself in some new territory. 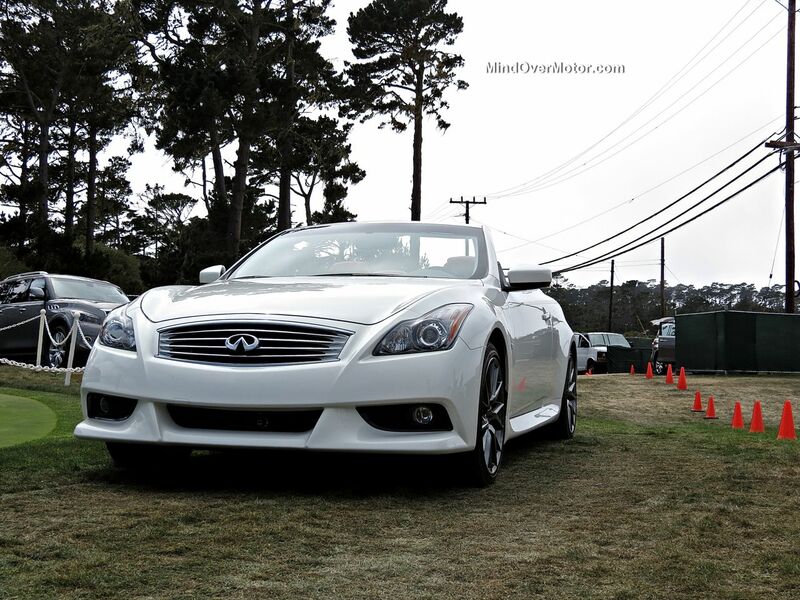 Briefly looking back, the G35 was the car that really launched Infiniti into what it is today. It was based on the same platform as the Nissan 350Z, making it a true 4-door sports car. What resulted was the car that gave the BMW 3 Series its most formidable challenge to date. Boy has the world changed a lot since the G35 first came out. The emphasis in the luxury market is now on multitasking, both from the car and from the driver. A car needs to be comfortable, but also sporty enough for you to weave in and out of traffic at 90mph while you’re updating your Facebook status and texting your friends. The pure focus on driving is all but dead at this point, even BMW has made that obvious. While luxury cars must still be dynamically capable, and “fast”, the priority for most buyers is now on cool gadgets and hypothetical fuel economy numbers. Looking at the Q50, especially the Hybrid, it is easy to see that it is a car built for our modern world. I must confess, that when I actually drove the car, I knew very little about it. Since my drive, I have been doing a lot of research to help with this article, and I am finding that the Q50 Hybrid may, in fact, be one of the most interesting cars on the market.